CREATIVITY, REALITY, ENTERTAINMENT, ARTS and MUSIC popular known as The MTN C.R.E.A.M Platform spearheaded by veteran musicians, D'banj and Ice Prince has recorded tremendous achievements. The platform which has been helping young and talented people to actualize their music dreams irrespective of their locations across Nigeria has taken a bold step to consolidate the platform. 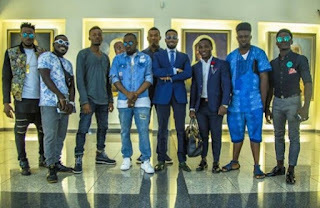 Earlier today, Kaduna-born singer and winner of The C.R.E.M.E platform, Leke Benson stepped out with D'banj, Ice Prince and some other winners paid a courtesy visit to the House of Representatives to present the platform to the members. 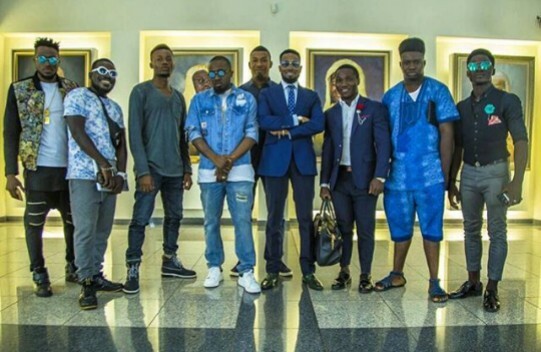 They also advocated for upward revenue share in favour of Nigerian artistes. This is a great step for Nigerian artistes.